In this article on Medieval India, we plan to cover the topic ‘Towns, Traders and Craftpersons in the medieval India’. We have noticed more and more questions being asked in Prelims from this topic, hence the write-up on the same. One of the major reference material for this post is NCERT History text for Class 7 (Our past -1). Only main points from the chapters are compiled below. These points might come quite handy during preparation of Prelims and Mains to get a quick grasp of the subject. There were administrative centres, temple towns, as well as centres of commercial activities and craft production during medieval periods. The best example is Thanjavur. During the reign of Chola Dynasty (King Rajaraja Chola), its capital was Thanjavur. Architect Kunjaramallan Rajaraja Perunthachchan built Rajarajeshwara Temple. Besides the temple, there were palaces with mandapas or pavilions. where kings hold court here and issue order to subordinates. The Saliya weavers of Thanjavur and the nearby town of Uraiyur were busy producing cloth for flags to be used in the temple festival, fine cottons for the king and nobility and coarse cotton for the masses. Some distance away at Svamimalai, the sthapatis or sculptors were making exquisite bronze idols and tall, ornamental bell metal lamps. 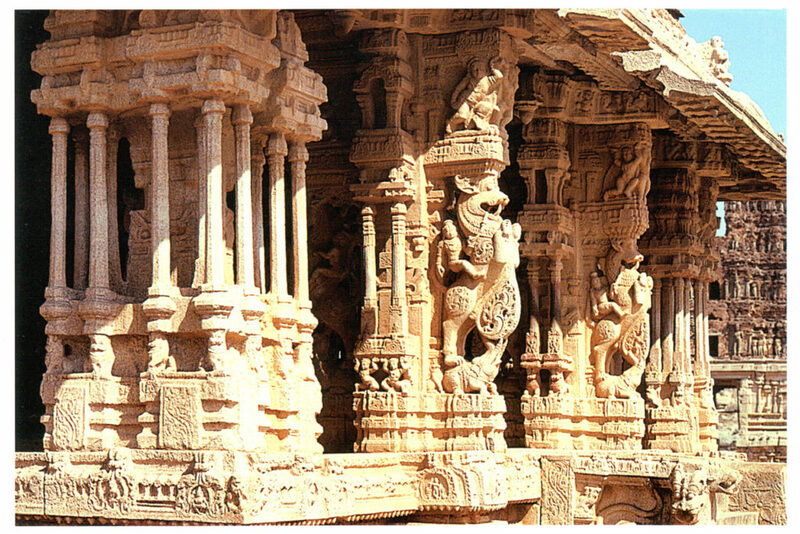 Towns emerged around temples such as those of Bhillasvamin (Bhilsa or Vidisha in Madhya Pradesh), and Somnath in Gujarat. Other important temple towns included Kanchipuram and Madurai in Tamil Nadu, and Tirupati in Andhra Pradesh. Pilgrimage centres also slowly developed into townships. Vrindavan (Uttar Pradesh) and Tiruvannamalai (Tamil Nadu) are examples of two such towns. From the 8th century onwards the subcontinent was dotted with several small towns. These probably emerged from large villages. They usually had a mandapika (or mandi of later times) to which nearby villagers brought their produce to sell. 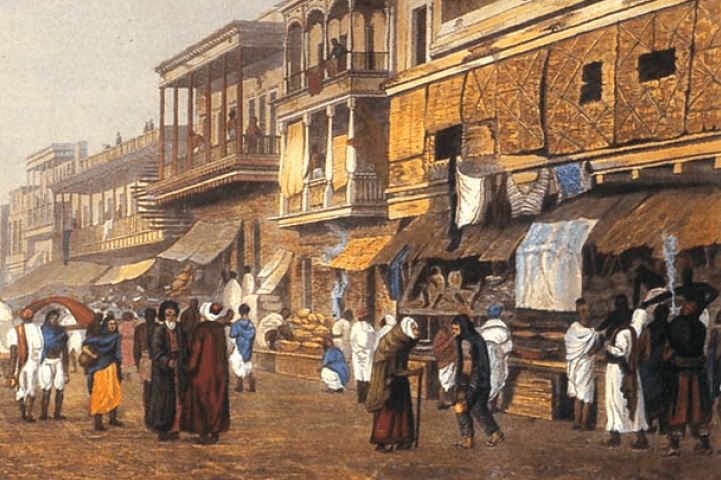 They also had market streets called hatta (haat of later times) lined with shops. Usually a samanta or, in later times, a zamindar built a fortified palace in or near these towns. They levied taxes on traders, artisans and articles of trade and sometimes “donated” the “right” to collect these taxes to local temples . Since traders had to pass through many kingdoms and forests, they usually travelled in caravans and formed guilds[associations for certain tasks]to protect their interests. Manigramam and Nanadesi were two such guilds.These guilds traded extensively both within the peninsula and with Southeast Asia and China. The towns on the west coast were home to Arab, Persian, Chinese, Jewish and Syrian Christian traders. At the same time Kabul [Afghanistan]became politically and commercially important from the 16th century onwards. Trade in horses was primarily carried here. Slaves were also brought here for sale. The Panchalas or Vishwakarma community, consisting of goldsmiths, bronzesmiths, blacksmiths, masons and carpenters, were essential to the building of temples. They also played an important role in the construction of palaces, big buildings, tanks and reservoirs. Similarly, weavers such as the Saliyar or Kaikkolars emerged as prosperous communities, making donations to temples. Some aspects of cloth making like cotton cleaning, spinning and dyeing became specialised and independent crafts. Surat, Hampi and Masulipattanam were the major towns in India during the medieval period. It was the nucleus of the Vijayanagara Empire (1336). No mortar or cementing agent was used in the construction of fortified walls and the technique followed was to wedge them together by interlocking. It got splendid arches, domes and pillared halls with niches for holding sculptures. During 15th – 16th centuries, Hampi bustled with commercial and cultural activities. Moors (a name used collectively for Muslim merchants), Chettis and agents of European traders such as the Portuguese, thronged the markets of Hampi. Temples were the hub of cultural activities and devadasis (temple dancers) performed before the deity, royalty and masses in the many-pillared halls in the Virupaksha (a form of Shiva) temple. Hampi fell into ruin following the defeat of Vijayanagara in 1565 by the Deccani Sultans – the rulers of Golconda, Bijapur, Ahmadnagar, Berar and Bidar. It was an emporium of western trade during the Mughal period along with Cambay (present Khambat). Surat was the gateway for trade with West Asia via the Gulf of Ormuz. Surat has also been called the gate to Mecca because many pilgrim ships set sail from here. In the 17th century the Portuguese, Dutch and English had their factories and warehouses at Surat. The textiles of Surat were famous for their gold lace borders (zari) and had a market in West Asia, Africa and Europe. Decline factors: the loss of markets and productivity, control of the sea routes by the Portuguese, competition from Bombay where the English East India Company shifted its headquarters in 1668. Lay on the delta of the Krishna river. Both the Dutch and English East India Companies attempted to control Masulipatnam. The fort at Masulipatnam was built by the Dutch. The Qutb Shahi rulers of Golconda imposed royal monopolies on the sale of textiles, spices and other items to prevent the trade passing completely into the hands of the various East India Companies. In 1686-1687 Mughal Emperor Aurangzeb annexed Golconda. So European Companies took alternatives to Bombay, Calcutta and Madras which lost Masulipatanam’s glory. Very useful information, thanxx a lot sir..